As a food allergy mom, I was kidding myself into believing that if I took all the precautions, if I left nothing to chance, if I controlled every environment she was in, then I could single handedly keep our daughter safe. This line of thinking is why all of us “allergy moms” look and act crazy to the rest of the world. I literally felt as if my child’s life was in my hands every second of every day. I believed that if I could just hold on a little tighter then maybe I could keep her safe and alive in a world surrounded by the foods that could kill her. Yes, we successfully managed to keep our daughter safe during those dark years, but I think we just got lucky because if you buy any of your food at a grocery store or if you ever eat food outside of your home or if you ever visit a public place, you will always be at risk for deadly anaphylaxis—especially if strict avoidance is your only option. We lived under that dark cloud of fear for more than 6 years until the day we heard about OIT. This life changing information did not come from our allergist or our pediatrician, but rather from a Facebook group called Private Practice OIT. I was truly stunned and mesmerized by what I was reading. I could not tear myself away from these fantastic stories of success written by real families just like ours. 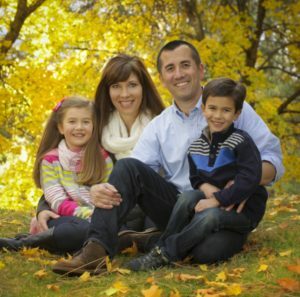 For the first time since our daughter’s allergy diagnosis, I experienced HOPE. With tears streaming down my face, it didn’t take long for me to realize that I would move heaven and earth just for the chance to see if OIT would work for our family. Wheels were set into motion, and within a few short months we moved our entire family from Washington to Oregon to start our own OIT journey with Dr. Baker. That sentence makes it sound so easy, but our move involved quitting a dream job, pulling the kids from their school and community, renting a house in one state while paying for a mortgage in another, and living apart from my husband for over 6 months while homeschooling our kids in a new big city where the kids and I were virtually alone without community or support. Fortunately, HOPE was driving the train, and I knew in my heart that any and all sacrifice (physical, financial, and emotional) would be worth it if we crossed the finish line with our own OIT success story. There were no guarantees, but the idea of freedom from fear made the uncertainty of our journey bearable! After years of strict avoidance, we (I say “we” because OIT is literally a family affair) started OIT for peanut on June 23, 2015 and would later follow with OIT for cashew, pistachio, walnut and pecan (each done separately). The logistics of our OIT journey weren’t easy, but our daughter crossed the finish line and OIT was a complete success. 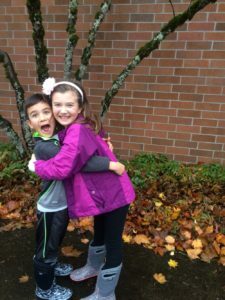 As our daughter safely handled greater amounts of her allergen week after week, the fear and anxiety that we had all lived with for so many years began to melt away. 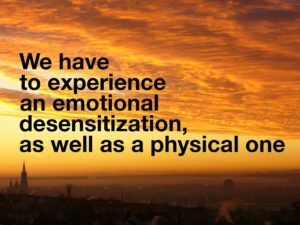 The OIT process provided both physical and emotional healing for the entire family—the emotional healing came as somewhat of a surprise to all of us. Our daughter now eats a maintenance dose that includes all of her allergens (peanuts, cashews, pistachios, pecans and walnuts). She no longer lives under the dark cloud of life threatening allergies. We socialize, we attend potlucks and weddings, we travel, we eat out, she attends sleepovers and parties without us and gets to fully participate in all food and non-food related activities. She will be going to her first ever sleep-away camp later this summer. Our social life no longer requires endless phone calls, e-mails and meetings regarding our daughter’s safety, and we no longer travel with a huge cooler of emergency food in our van. We are joyful and spontaneous and it feels incredible. Yes, our daughter, Mara, still has her allergies and she will always carry her epi-pens, but she is no longer “the allergy kid.” She is simply and wonderfully “just a kid” enjoying this life that has been given to her. Mara is fearless. She is tough and brave and unstoppable. She traverses through life with gusto and passion. She lives her life as if NOTHING IS IMPOSSIBLE because she has seen miracles happen. She dreams big. Don’t let the hair bows fool you. She is my warrior-girl. At 9-years-old, our OIT journey has given Mara so much more than just food freedom. It has given her more than just safety and peace of mind. OIT has given her the confidence to know that she is strong and she can do anything. It has given our daughter and our entire family a whole new life! OIT works. The very first night I told Mara about OIT, she looked up at me with tears in her eyes and said, “Mama, maybe this is the miracle we have been praying for.” We cried together as I held her and whispered, “Yes, baby girl, maybe it is.” We had no idea that night that OIT would change the entire trajectory of our lives. So now I have a new “what if” pulsing through my mind with each new tragedy that makes the news. “What if that child would have done OIT?” “Would they still be alive?” “Would it have made the difference between life and death?” Knowing what I know now, and seeing the changes I’ve seen in Mara, I believe the answer is yes. OIT saves lives. The fact that there is a better alternative to strict avoidance (which historically has proven deadly for so many kids) is huge news, and yet no one seems to be talking about it. You read a few articles here and there about “studies” and about research that is still being done, but the impression from these articles (and the impression from many non-OIT allergists out there) is that any type of solution to life threatening food allergies is still in trials. The fact of the matter is that these solutions are not decades or years away–there is something available now. OIT is happening today throughout the U.S. by allergists who care. OIT gives a significant added layer of protection to kids and individuals living with severe allergies. OIT gives hope and new life to families. I’m a new type of crazy now… I want to shout it from the rooftops and tell all the allergy parents out there that OIT exists and OIT works! It truly does. There may be bumps along the way, but guess what? Without OIT, there will be a lifetime of worry, restricted living, and reactions. OIT is hard, but definitely NOT harder than living daily life trying to adhere to strict avoidance and all the while worrying about sudden anaphylaxis. In comparison to that life, OIT is easy. With OIT, the bumps in the road are in a controlled environment and we know what to do (and have the support of our doctors to guide us through it). The end result is a safer, more normal life on the other side. A life where joy replaces worry and inclusion replaces exclusion. Without OIT, reactions can come from anywhere and at anytime, whether you are with your child or not. 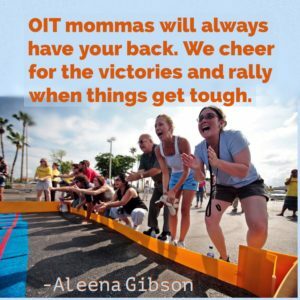 For all you parents out there with incredible kids, who happen to live with life threatening food allergies, please do not shy away from OIT because you are afraid. Let your faith be bigger than your fear. Imagine for a second a life where food no longer feels scary, a life where social events are simply fun, a life where things you cannot see can no longer harm your child, a life where you can breathe and just be a mom or a dad without trying to hold the entire world up with your worry. That is the life you can have with OIT. I know because we are just beginning to unveil this gift that has been given to us. Thank you for reading our story. I pray that our OIT journey might give HOPE to others walking this same path. Be brave. Be strong. Be fearless. We were all made to do hard things. Allow HOPE to settle into your heart and then take the very first step. You got this! There is an incredible life filled with freedom waiting for you on the other side. There is an entire community of warriors who have gone before you. We will be holding your hand, lifting you up, and cheering for you the entire way. We are so thankful for OIT and for this journey.